RoseLemberg.net » The Moment of Change is here!! The anthology is officially OUT, and available for purchase at the Aqueduct website! 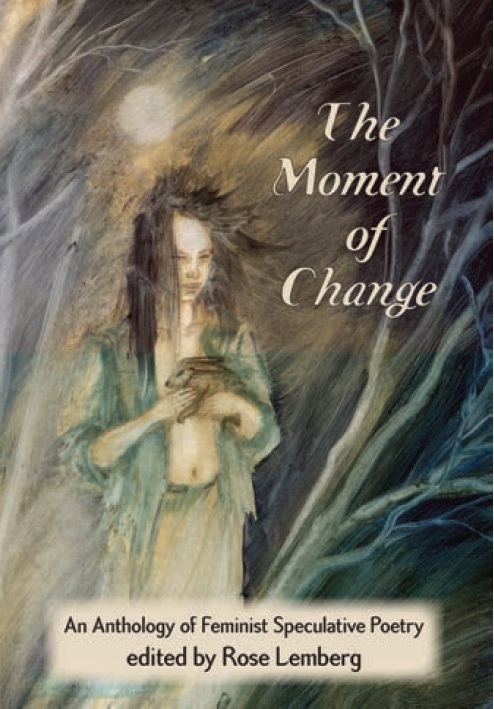 It will also be on sale during Wiscon, where we will be having a Moment of Change reading (WITH COOKIES), and it will be available to purchase from other outlets by the end of the month. I am so, so, so proud of this. Congratulations to all the wonderful poets involved, major thanks to the Aqueduct team for publishing it, and to wonderful Terri Windling for the cover image! YAY YAY YAY YAY YAY!!! !